To plasti dip or not?? Well, I decided to plasti dip my wife's winter wheels because I wanted to spice up her new ride and also get some first hand experience with plasti dip and the whole craze going on with it. 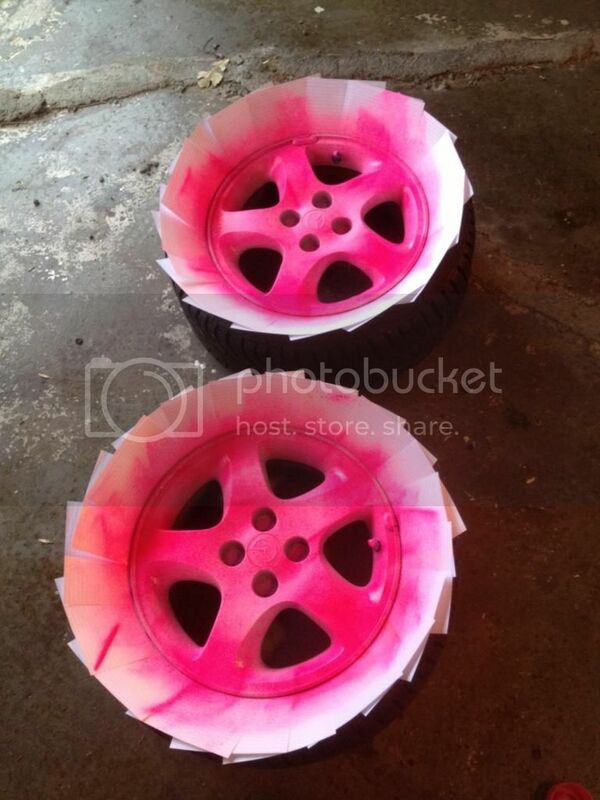 Most colors are going to have to be ordered online or through a store that carries plasti dip. 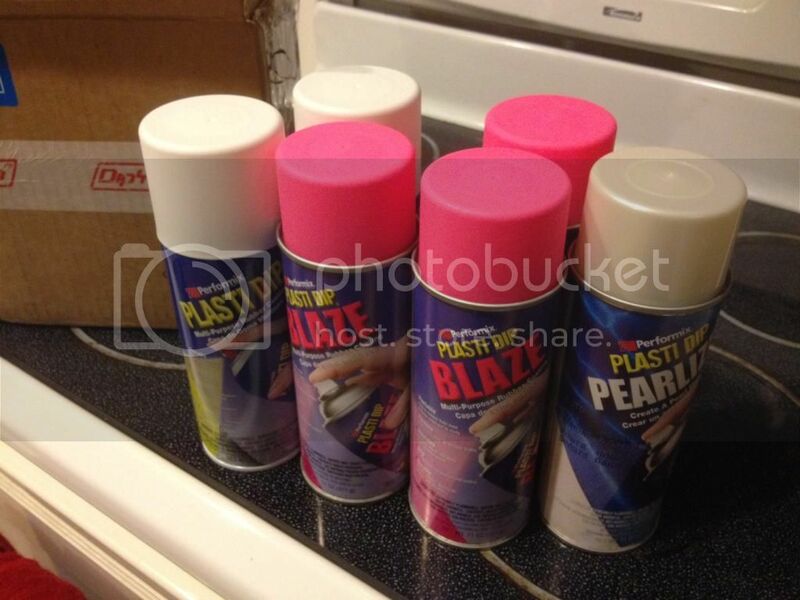 I ordered the blaze pink and the pearlizer from dipyourcar.com and I bought the white plasti dip from Lowes. I believe Ace Hardware also carries it. 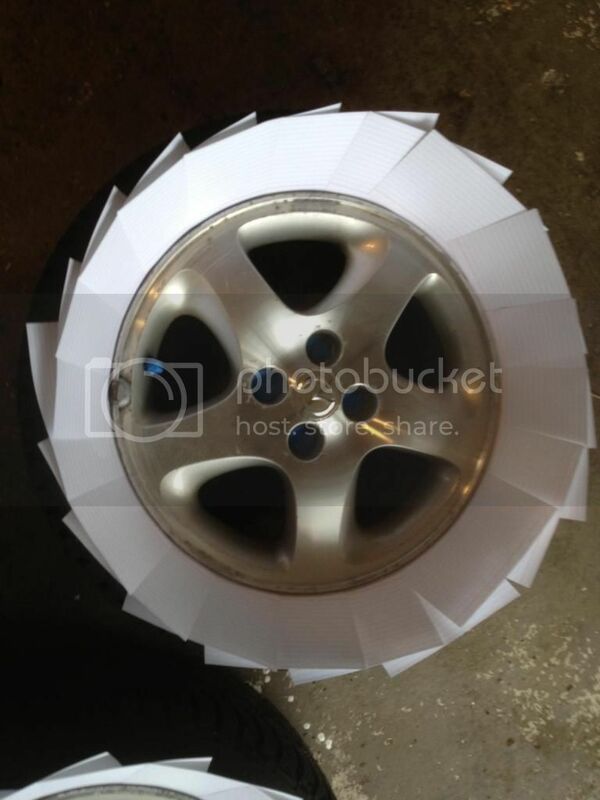 Here are the wheels pre dipped. Sanded some areas that had some corrosion going on and cleaned them up with soap, water and some alcohol wipes. Not perfect but a lot better than when I first got them. Taped off the valve stems and also in the lug nut holes. I used some index cards to block off the tires. This is all preference. 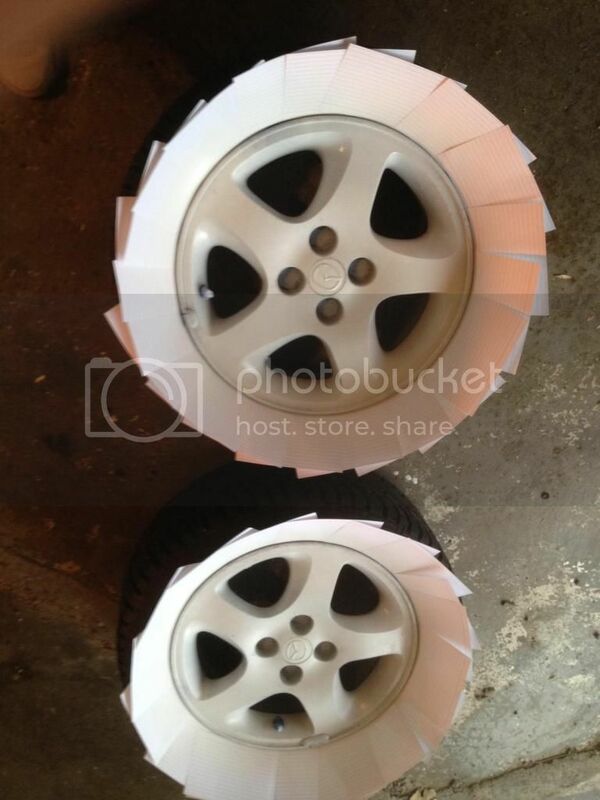 I have heard of many people not doing anything to block the tires as they say the plasti dip will just rub off. I would recommend taping off the lug nut holes as if you dont I have seem some pics of people mounting them and having the plasti dip around the lug nuts start to come off as the lug nuts are tightened. For the blaze colors it is recommended that you use a white base coat otherwise it seems like the blaze colors dont come out as bright. 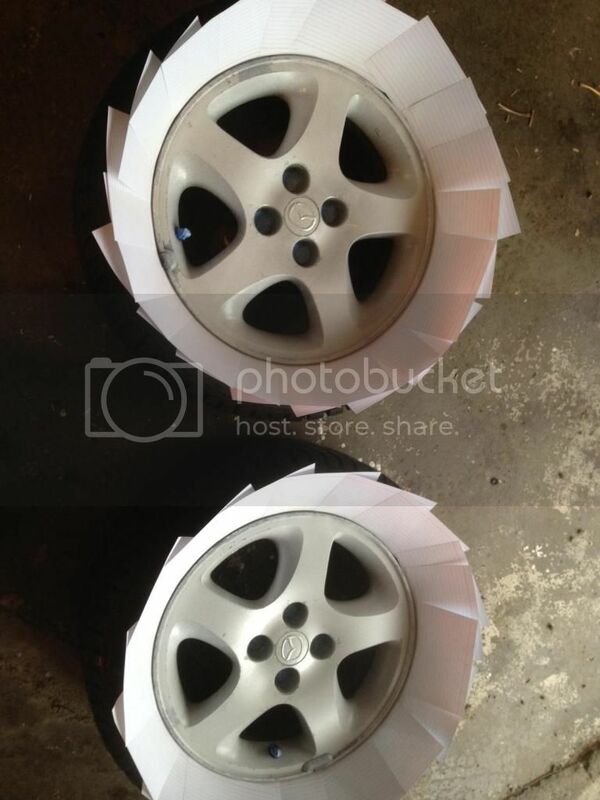 Here are the wheels after 2 light coats. I waited a couple minutes in between each coat. Once again its all preference. 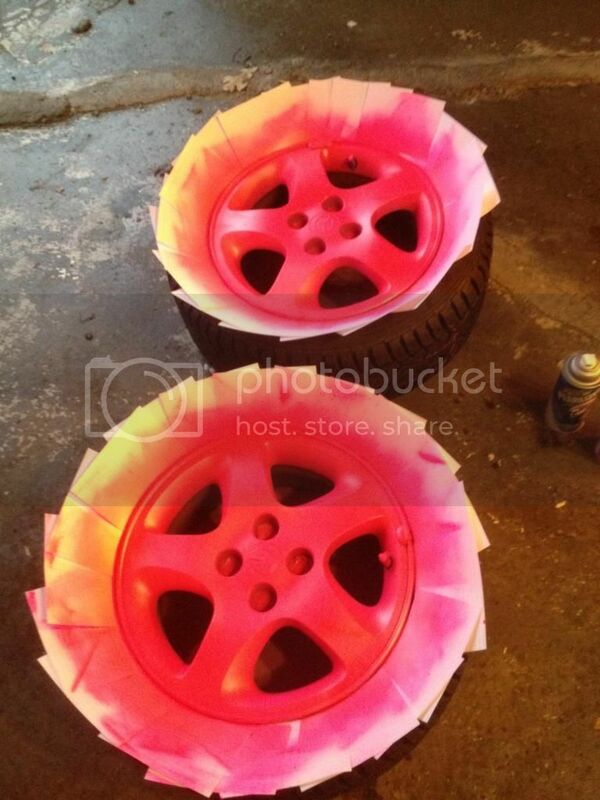 I did a lot of light coats. Some people have done heavier coats with less coats applied. This is the after about 4 light coats of the white. 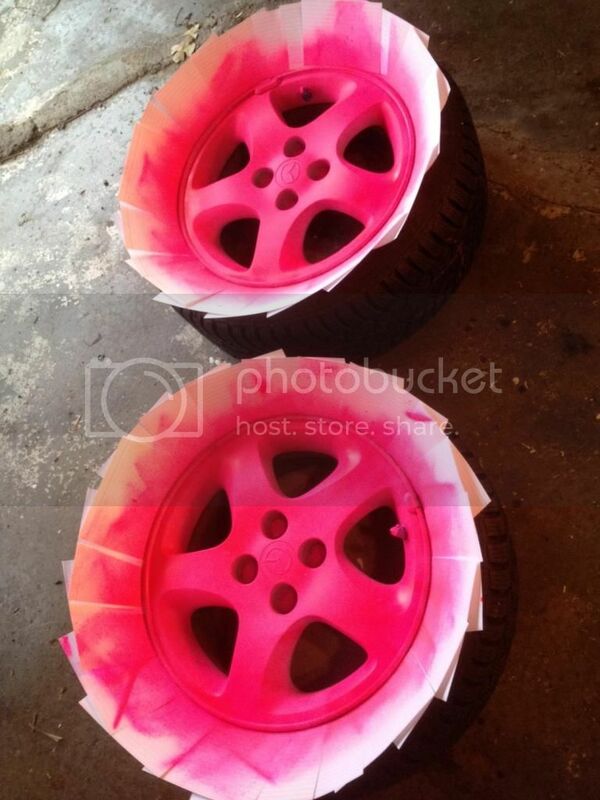 Now Im ready to spray on the Blaze Pink. Here's how it looked after about 5 light coats. 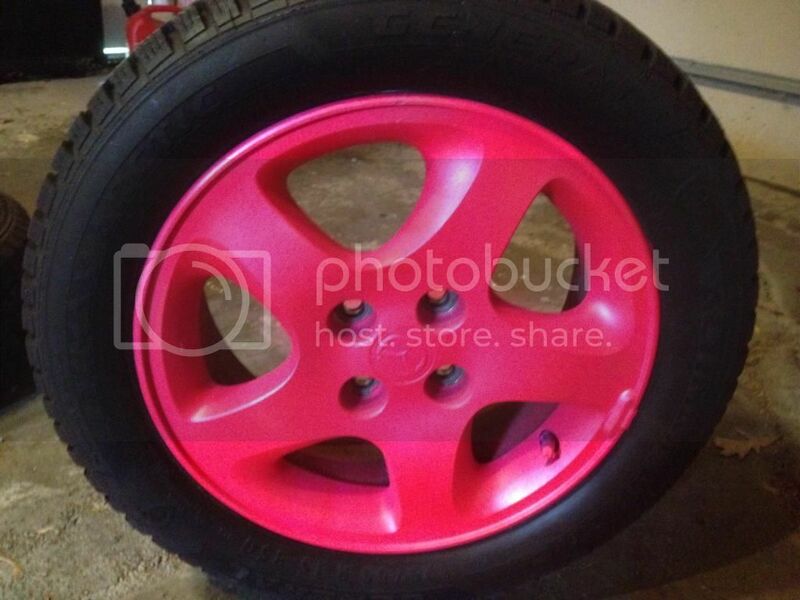 SUPAH PINK! I lightly dusted the wheels at the very end with just the pearlizer. You can spray that on how many times you want to get the effect you are looking for. And dont forget to pull off the tape around the vavle stems and lug nut holes before it completely dries or the plasti dip can peel off with the tape. All pics were taken with my Iphone so sorry for not having the best quality images. 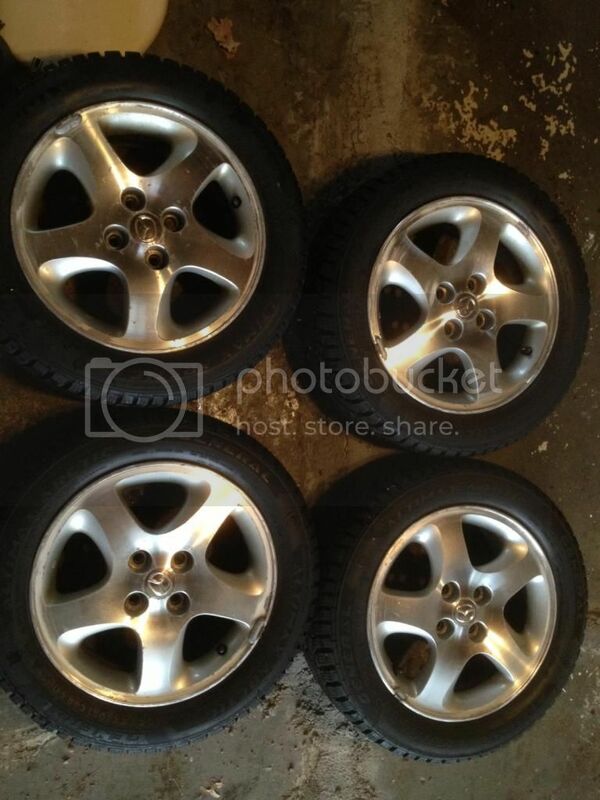 I will try and get some pictures of the wheels on my wifes Fit. Has been through this past snow storm and so far its holding up well. I will try and get pics of the wheels on her car soon. Hope this thread helps people get a little more info about plasti dip. Looks good, I LOVE plasti-dip, I have my wheels and bumper done on my silvy. NICE!!! I wonder what the durability of that stuff is??? Let us know as the winter goes on. Plus, I liked the Ghost Busters reference. 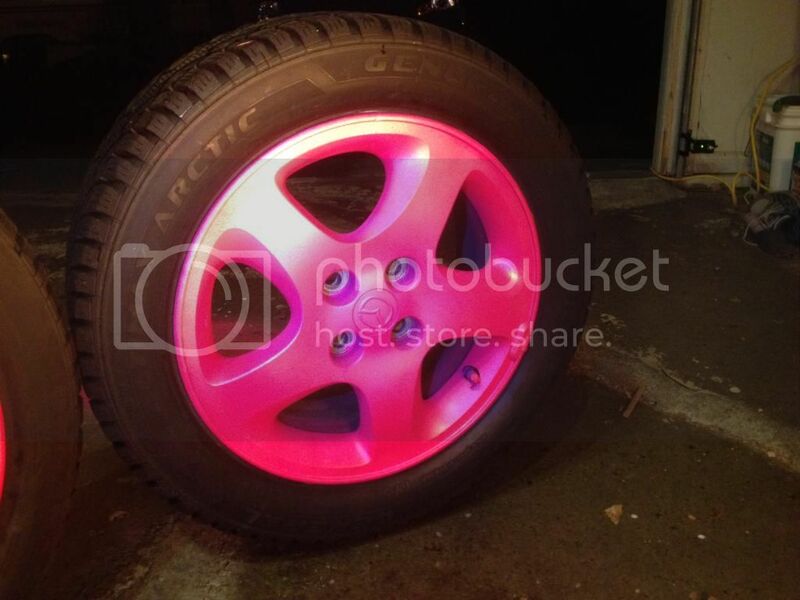 Plan on doing this to my winter wheels after I take them off this spring. Minus the PINK though. no pink for you gabus?? kptruelee is that you? do you still got the blue integra? with jdm front end? Does your wife drive a honda fit? I told her nice wheels when she came into my caseys over here in west des Moines. Looks dope! I've seen your wife in the fit at Dukin Donuts twice. We usually stop there on Sunday mornings on the way to church.